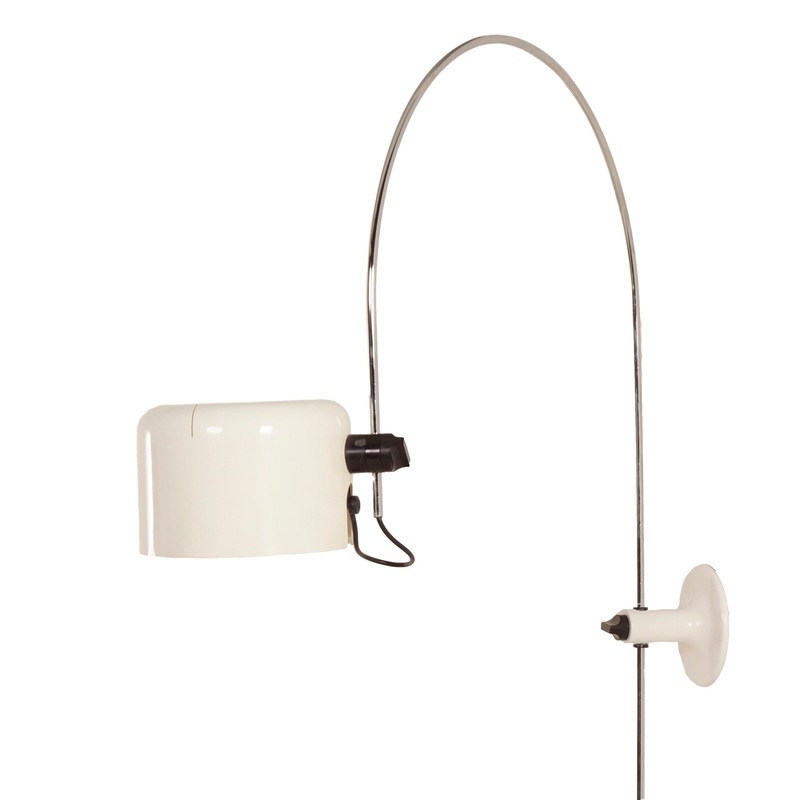 White Coupe wall arc lamp designed by Joe Colombo for Oluce Italy, 1967. This rare Colombo wall lamp has a cylindrical cap. The joint in the arm makes it possible to pivot, turn or adjust the height of the reflector in one easy step. Considering its age this vintage clamp lamp is still in good condition; one small dent and some scratches on the hood (see photo’s). This is an original old version with old bulb holder and switch in the shade. Source: Book: Joe Colombo, Vitra Design Museum, page 164. Material: metal (chrome), cap and base white. Dimensions: height x width x diameter (cap) 125 x 62-85 x 22 cm.